Hope you're all well! A little post for today. I've been shovelling snow, finishing my taxes and getting my mom's taxes prepared. All fun stuff! LOL! But, I did manage to finish a painting. Sorry, no progress pictures. 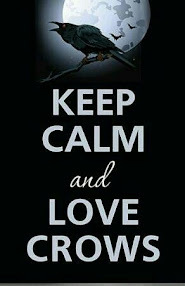 I LOVE the crow fact! and your painting is so creative and original, nice job. Hope your snow melts fast so you don't have to keep shoveling. Brave soul to tackle your taxes and your mothers. 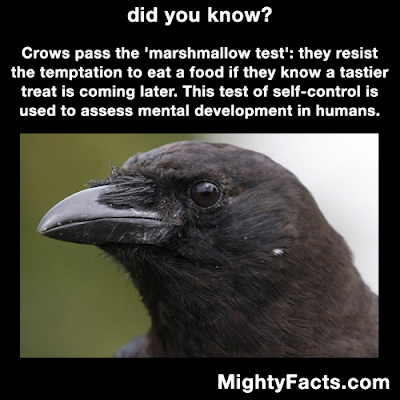 Crows will pass up a marshmallow? What's tastier to them? Crows are SUCH intelligent birds. And I love them. Shoveling snow is definitely not fun, but the facts about crows was fascinating. Your painting is enchanting and amazing!!! your painting is beautiful,, I love it! Hey girl. This is such a powerful piece. I love it! I am so happy you are posting crow facts. I fell in LOVE with you are infinite!!!!!!!!!!!!!!!!!!!!!!! it has ability to drop the vision of being infinite to soul!!! forgot to say that what a unity and sensitivity these crows have! thank you for interesting sharing my friend! Stunning painting Stacy! The crow facts are so interesting. Such intelligent birds. Good luck with the taxes. It is always a relief once they are done and filed! Your art is lovely! And thanks for the information, I didn't know about the marshmallow test! Well done on the snow shovelling, we have light snow forecast for the coming weekend! So pleased you finished another painting - it looks very good and I like the title too! Awesome that you finished another painting! I still have to do my taxes. I am not sure why I wait so long. :) Have a great weekend! Oh, Stacy how I LOVE this surreal painting. And its title is just perfect. Hope the shoveling ends soon! P.S. The banner painting is glorious! Shoveling snow and paying taxes. Hope you got to toss some good food into the weekend, as well. Cheers and boogie boogie. I love seeing the new beauty you have created. This latest one is incredible! Shoveling snow sounds like a lot of work..
Wow, awesome that you have finished another painting! Ah, 3 crows...mind, body, and Spirit? I LOVE it!!! Love the crow facts too!!! Hugs! Wow, Stacey, that is a gorgeous painting! I love it. 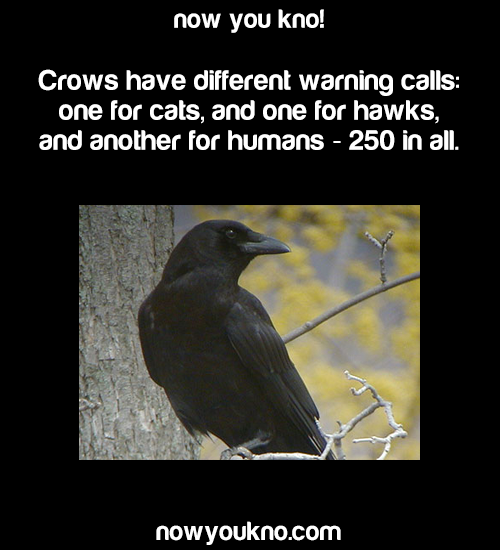 Fascinating into about Crows...I had no idea they had all those different calls! That is really amazing!! And ...WOW...your new painting...so incredibly STRIKING!!! Fascinating info on crows. They really are smart aren't they? 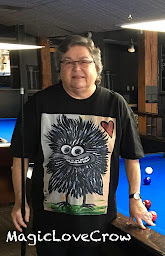 Did you see Jan's crow painting? As always, I love your latest creation. Hope all is well in your world and that today is a good day for you. Thinking about you. I had no idea crows exhibited self control. Very interesting! I love the combination of the crows and the human face in your new painting. And thanks for sharing your knowledge about crows. Very interesting :-) Have a great week!